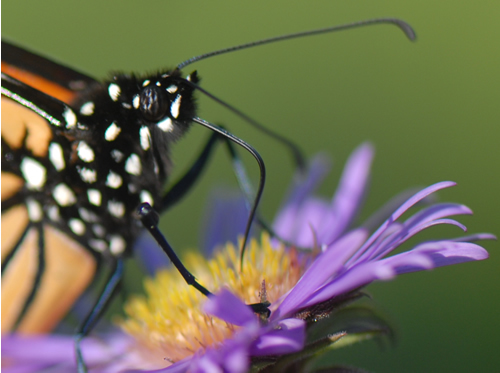 Create monarch habitat by planting a butterfly garden. Some non-native plants disturb migratory patterns. Include flowers that bloom during fall migration. Scientists need data to understand all stages of the monarch's annual cycle. Citizen scientists contribute valuable observations. 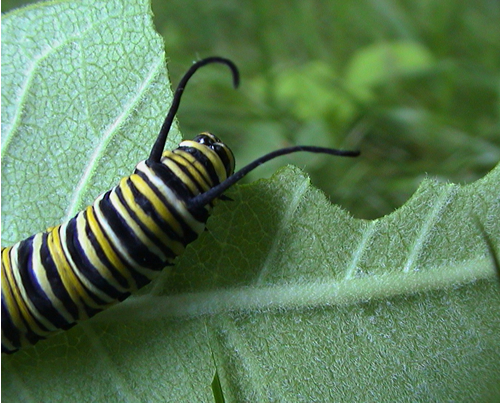 Get involved in monarch habitat conservation in your community, region, state or province. Talk to property managers and local governments about ways to reduce or eliminate mowing, especially in late summer when the migratory generation is developing. If you must mow, pay attention to the timing of monarch generations and implement a regimen of alternate cuttings, so that new milkweed is continually available and generations have time to develop. Reduce or restrict pesticides in monarch habitat along roadsides, railroad, and powerline right-of-ways. Avoid spraying for mosquitoes or other insects when monarchs are present. Advocate for practices that do not eradicate milkweed. Encourage legislation that requires labeling of food made from genetically modified crops for consumer awareness. Share information about monarch conservation needs through local news outlets and social networks. 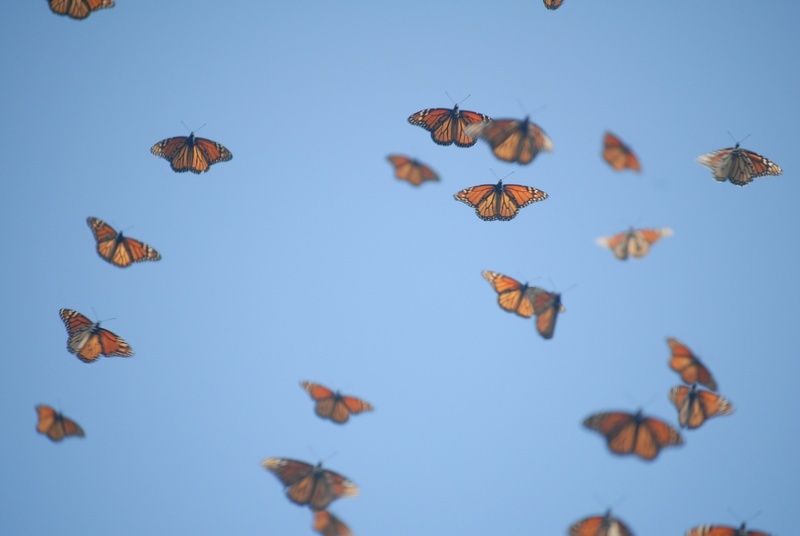 Support organizations that protect monarch habitat on the breeding grounds, along the migration route, and at the overwintering sanctuaries in Mexico. Journey North, Monarch Watch Waystations, North American Butterfly Association, Make Way for Monarchs, Southwest Monarch Study, Monarch Butterfly Fund, Monarch Joint Venture, Wild Ones, Xerces Society.